Are you ready for this AWESOME teaching idea? How about using paint swatches to help students deepen understanding? All you need to do is pick up the FREE swatches at a local Home Depot or home improvement store. Give students one of the paint swatch sheets (see below for topics included). Students also need access to cut up paint colors. They then use the colors and the names of the colors to describe characters, settings, descriptive writing, symbolism, and feelings. For example, one page included asks students to think about the characters in the book they are reading (can be a book they are reading alone, a guided reading book, or a story you are reading whole class). 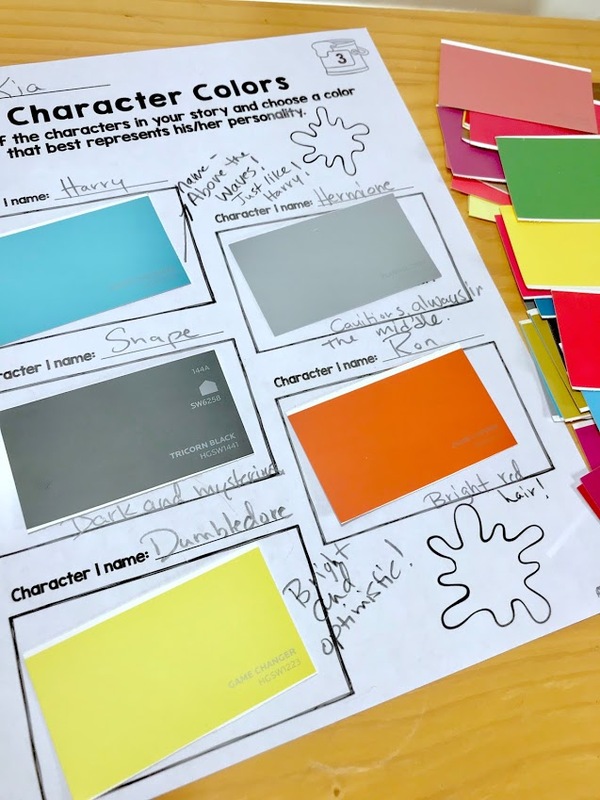 Students are then asked to write the names of the main characters and choose one color that best represents the character’s personality or mood during the story. This is an amazingly powerful way for students to learn about symbolism…a high-order thinking activity for your kiddos! Get the pack of activities here! *Character changes- how mood changes throughout. *Creating jazzy descriptions in our writing. *How color can indicate emotions. 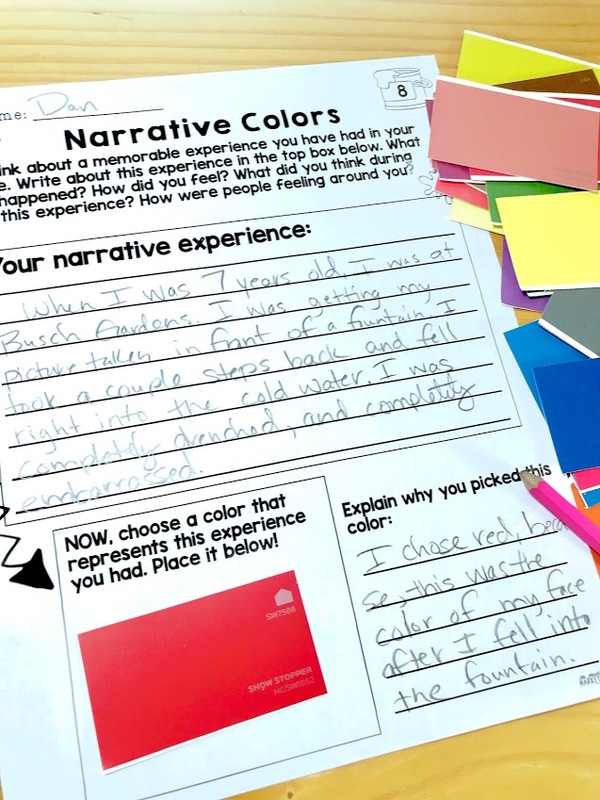 Here is another page where students write a narrative of an event from his/her life and then choose a color that best represents the mood they felt during this experience. This is a super engaging lesson that can be done during centers, guided reading, or whole class! I hope you find that using paint swatches to help students deepen understanding works for your kiddos! Check out the pencil challenge here!